Hours: Open Daily November 23 – December 24, 2018 | 10 a.m. – 10 p.m. Location: Blue Genie Big Top at 6100 Airport Blvd. 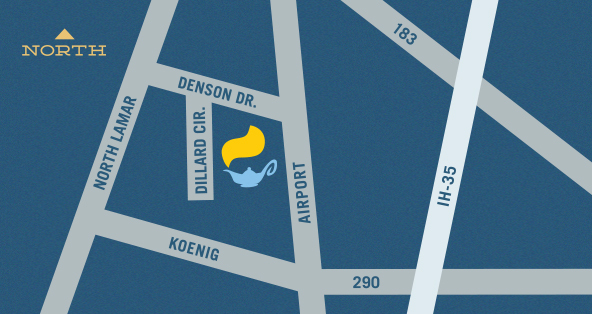 – From Airport Blvd., turn west onto Denson Rd., then south onto Dillard Circle. The entrance to the building faces Dillard Circle. Parking: Parking is available in the Bazaar lot and along Dillard Circle. © 2019 Blue Genie Art Bazaar. All rights reserved. Site by Zócalo Design. Homepage Slideshow Photographers: Tony Slade and Amanda Gillispie .